You're Pokemon attacks you're Opponent's Pokemon 7 times and is K.O. Dark Mewtwo pulls out his Mewtwo ball and catches Opponent's Pokemon and does 90 damage to all Opponent's Pokemon. 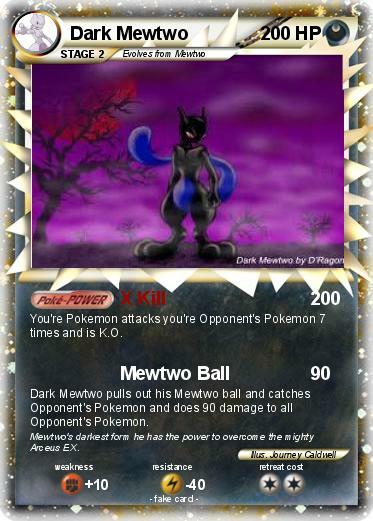 Comments : Mewtwo's darkest form he has the power to overcome the mighty Arceus EX.